The post of Rector of Windsor is currently vacant. 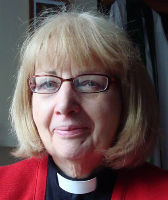 The Rev Canon Sally Lodge has been appointed and her induction will take place on 6 Jun 2019. John was born in north London and trained as a teacher in Newcastle upon Tyne. After marrying Dee, John moved to Windsor and was Deputy Headteacher in Old Windsor. He was a server and PCC secretary at St Stephen's for a number of years. New church growth in both parish and team re-awakened earlier thoughts of a call to ordination. After selection John trained for the ministry in Oxford and was ordained as an Ordained Local Minister in 2000. June has lived in Windsor for over 40 years, having moved from Northern Ireland with her husband and (then) young son and daughter. Prior to ordination in 2005, she was employed as a teacher and then in the youth justice system as well as a voluntary marital counsellor. She enjoys leading worship, small groups and meeting with individuals for spiritual direction. As a trustee for Windsor Christian Action she am very much committed to community outreach. As parish clerk, Jane is responsible for maintaining the parish register of baptisms, marriages and deaths. Trevor (with Jane) is jointly responsible for the fabric of the church. Steph is happy to discuss possible bookings for concerts and regular functions. Tony looks after the church accounts. If you wish to discuss donations or any other giving, Tony would be pleased to discuss it with you. 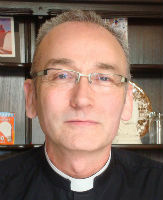 Fr Ainsley left Windsor in July 2018 to become Parish Priest at Bray, Diocese of Oxford on 12 July 2018. Margaret has now retired. She moved away from Windsor in March 2018 and is no longer in active ministry. Kate was curate in Windsor from 2015 to 2018, as well as chaplain (Padre) to the Windsor Air Training Corp Squadron. She became Parish Priest of St Mark’s, Hamilton Terrace in the Diocese of London on 1 July 2018.